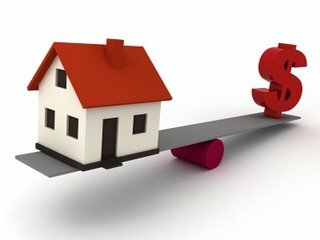 In a recent study by the Utah Association of Realtors, when people were asked what are the top three challenges in the Utah Housing Market, the number one response was ‘lack of housing affordability’. Second was the ‘current state of the economy’ and third was ‘difficulty in getting a loan’. The question is, is this perception of lack of housing affordability real, or is it more based on what people get used to, rather than actually facts. Let’s take gas prices as an example. When gas was $4.00 a gallon people believed that gas was outrageous, when it dropped to $3,00 it seemed cheap, and now it is back down to $1.50 or so, its really cheap. But gas prices are just back to the prices we saw 4 years ago. Therefore, what was the norm 4 years ago is now seen as really cheap. Other interesting findings were that 69 percent said they believed ‘buying a home in Utah at this time was a good investment’ (this seems to contradict the housing affordability answer), and 61% of people said that ‘the Utah real estate market was healthier than in other states’.